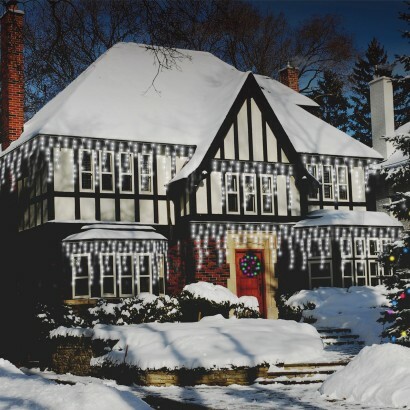 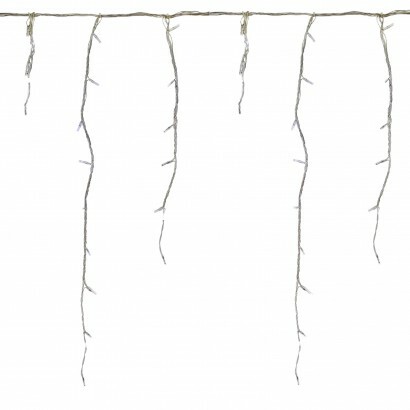 Trim your home with beautiful cascading icicle lights for a stunning snow themed fairy light display this Christmas. 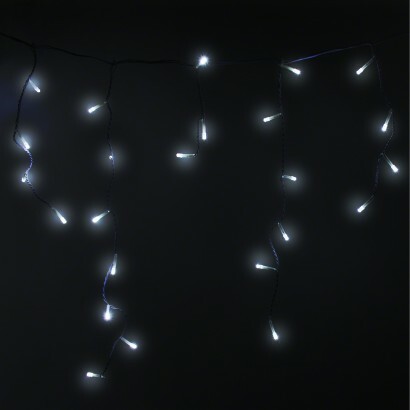 Lit by bright white LEDs , icicle light sets can be used either indoors or outdoors and have eight cool functions; combination, sequential, chaser flashing, twinkle flashing, waves, slow glow, slow fade and steady on. 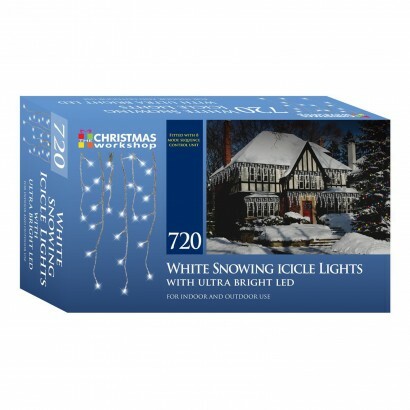 Available in various lengths with 180, 360 or a whopping 720 LEDs, these festive lights add a touch of enchantment to your home and garden this Christmastime.